You wouldn’t expect to see jungle animals walking around at Schiphol … or would you? There are no less than 70 different species of birds and 10 species of mammals that live around Schiphol. There are also special animals, like turtles and the rare short-eared owl. Why not see them at our zoo? Schiphol covers a large area of 2,787 hectares, which is bigger than the Dutch city of Leiden! We have 6 runways where planes depart and land. There are a lot of natural areas around those runways, with grass, trees and farmland. That makes it an ideal place for animals to live because Schiphol is a quiet area for animals to graze, despite the planes. The planes make noise, but don’t bother the animals for the most part. For them, the airport is nice and quiet with no people or dogs running around. 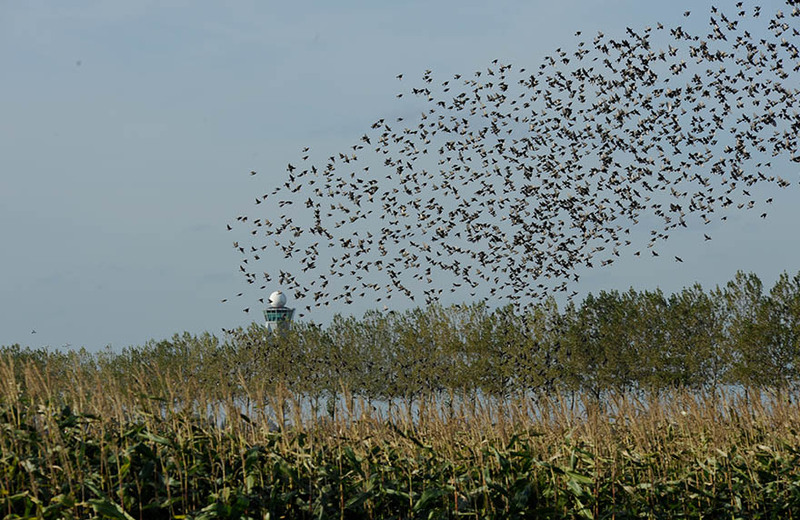 There are many bird species that live around Schiphol, like starlings and birds of prey, like kestrels. They search for mice in the grass to eat, or fish in the many locks around the airport. Did you know that we have about thirty-five km’s of locks at Schiphol? That is the same distance as from Amsterdam to Zandvoort beach. There are all kinds of fish in these creeks, including large ones such as carp and pike which make delicious snacks for the birds of prey. You might not expect it, but a turtle has even been spotted in our creek. Schiphol is a fantastic place to birdwatch, but it’s not great for planes. They sometimes fly off just as a plane is taking off. It can be dangerous if a bird flies into the aircraft engine, especially large birds like geese. If that happens, the engine would need to be repaired before the plane can safely depart. 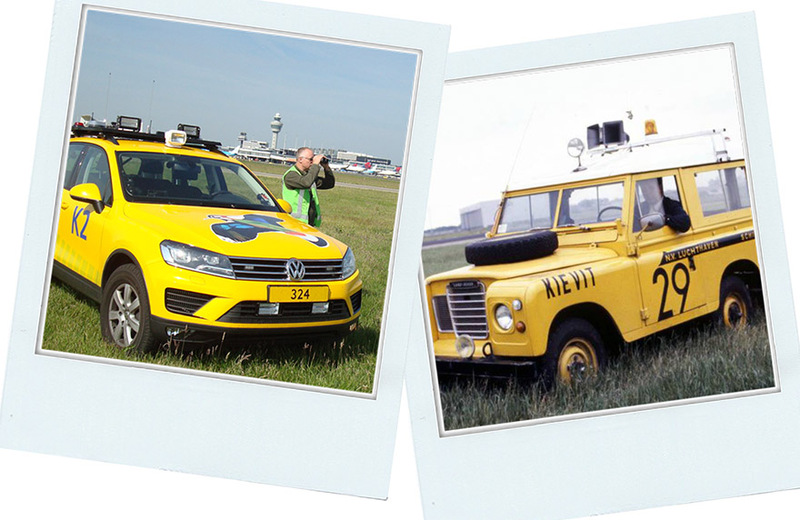 Fortunately, we have bird controllers who drive around at Schiphol – like human scarecrows. Before the plane takes off, they check to see that there are no birds around the runway. You can read more about the bird controllers on the 'Special jobs at Schiphol' page. There are not many bird species that live at Schiphol. You can find all sorts of mammals living in the area, like foxes, hares, rabbits, moles and ermines. These animals are visible mainly at night. Of course, it’s even quieter for the animals then, because fewer planes fly at night than during the day. Foxes are very useful for the airport, because they eat the mice that live in the grass. Fewer mice mean less food for birds of prey, which means that they go and hunt in other places. Foxes are actually helpful for the bird controllers. Next time you fly from Schiphol, you have to take a good look out of the airplane window. You may see a large bird of prey, fox or our famous turtle!